A man wanted on suspicion of murder in Joplin, Missouri, was arrested shortly before 6 p.m. Wednesday, Jan. 30 by U.S. marshals and Anacortes police at the Salvation Army shelter in Anacortes. Officers found Michael James Osborne, 33, in a tent inside the shelter. “Rather than go from tent to tent, officers called out his name and told him he was surrounded, and he came out and gave himself up,” Joplin Police Capt. Trevor Duncan said. Anacortes Police Capt. Dave Floyd said at least four marshals and three police officers went to the scene. Two police officers remained outside while an officer went inside with marshals. Floyd said Osborne was arrested without incident. Osborne was booked in Skagit County Jail on $1 million bail to await extradition to Missouri, where he faces charges of first-degree murder and armed criminal action. 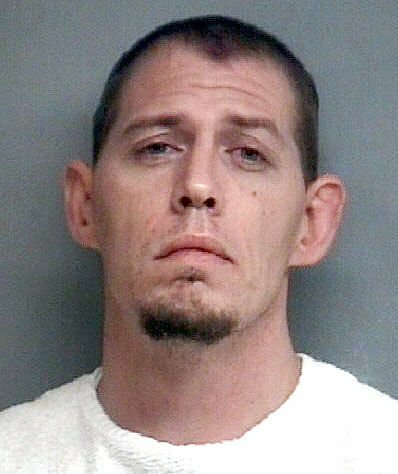 Osborne is suspected of inflicting a single fatal stab wound in the chest of a 27-year-old man Jan. 11. The stabbing reportedly occurred in the apartment of a mutual acquaintance. Duncan said Joplin officers served a warrant for Osborne’s arrest at his family’s home, but he was not there. During the investigation, “we received word that he had made connection with an acquaintance in Anacortes, and we were able to track him,” Duncan said. Joplin police then contacted the U.S. Marshals Service. Salvation Army Lt. Stephen Milner, director of the local Salvation Army, referred calls to the organization’s public relations office in Seattle. A message was left there Friday, Feb. 1. Information was not available regarding the date Osborne checked into the shelter. According to Duncan, Osborne’s arrest record dates to 1995 and includes a narcotics violation, vehicle theft, property damage, burglary, and assault. His most recent convictions: vehicle tampering in 2016, and possession of drug paraphernalia in July 2018. He received one year on probation for the drug paraphernalia offense.